The program, administered by the Nathan M. Bisk Center for Professional Studies at the new JU Downtown campus, ranks No. 31 overall in the 2018 listings — up from No. 73 the year prior. It also was rated as No. 3 nationally for 100% online Nursing masters programs at private universities, and No. 1 for veterans for 100% online programs at private universities. The rankings are based on five main indicators, including student engagement, quality of faculty, peer reputation, selectivity and technology. In the student services and technology category, JU’s online Master of Science in Nursing was rated No. 2 nationally, particularly for its use of online learning technologies, superior guidance and robust financial support provided to its students. In student engagement, which U.S. News gives the most weight of all factors in selecting the best programs, the online JU MSN program was ranked No. 14 in the country, notably for its high collaboration among students and clinical instructors, responsive faculty and an environment designed for successful and quick degree completion. Dr. Teresa MacGregor, Graduate Director for the Nathan M. Bisk Center for Professional Studies at JU Downtown, said JU was proud to be recognized and ranked so highly among peer schools – and particularly for rising 42 spots in one year on the overall list. “This exemplifies commitment to student success, an individualized experience and support from faculty and administration to ensure these working professionals can meet their career demands while graduating in a timely fashion,” she said. The online MSN degree at JU provides the same high-quality education and curriculum offered ground-based students, and offers those in the Nursing profession a flexible and adaptive chance to advance their careers. The median salary for JU online MSN graduates in 2017 was $75,000, and 95 percent were employed within one year of graduation, according to data from the JU Career Resource Center. 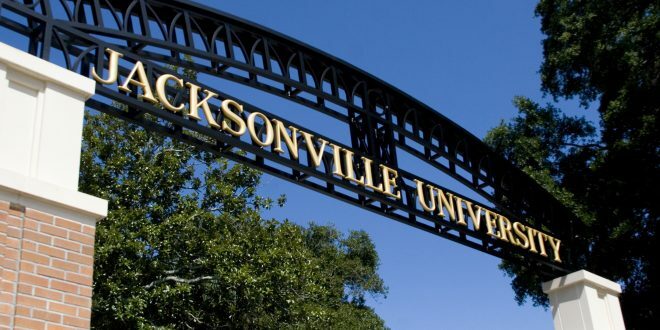 JU was also recognized by U.S. News for the quality of its MSN concentrations. Among all U.S. private universities offering 100% online MSN programs, the University came in No. 1 in informatics, No. 2 in nursing education and No. 3 in nursing administration/leadership.